Last month, I had so much fun creating a reading comprehension unit on Afro-Latinos that I decided that I had to do it again. 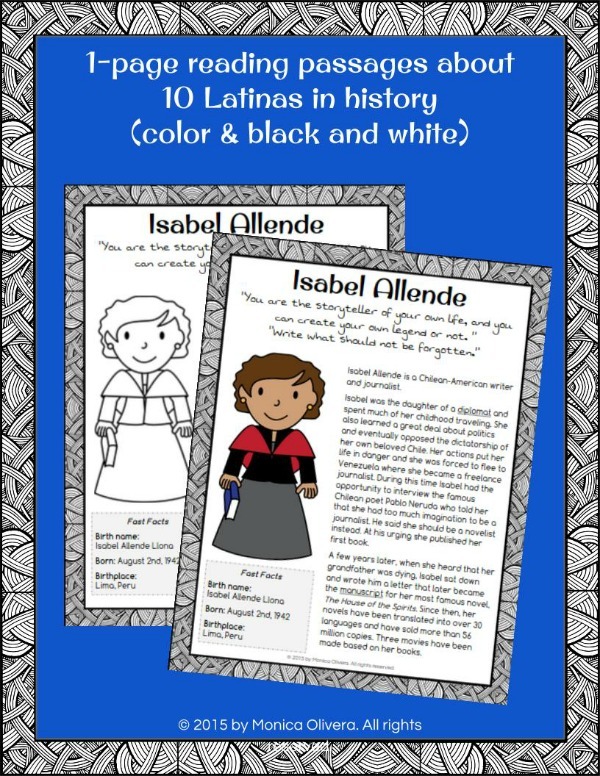 So I'm pleased to share that in honor of Women's History Month, I've created a new reading packet featuring 10 Latinas in history. 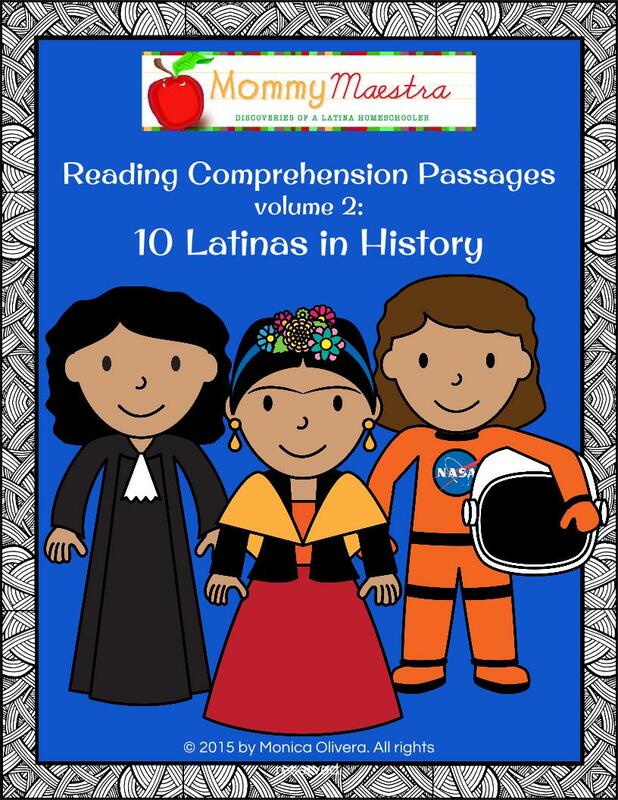 Reading Comprehension Passages: 10 Latinas in History (volume 2!) is now available and it features 10 amazing women who have had an impact on world history. I had SO much fun reading about these incredible Latinas. 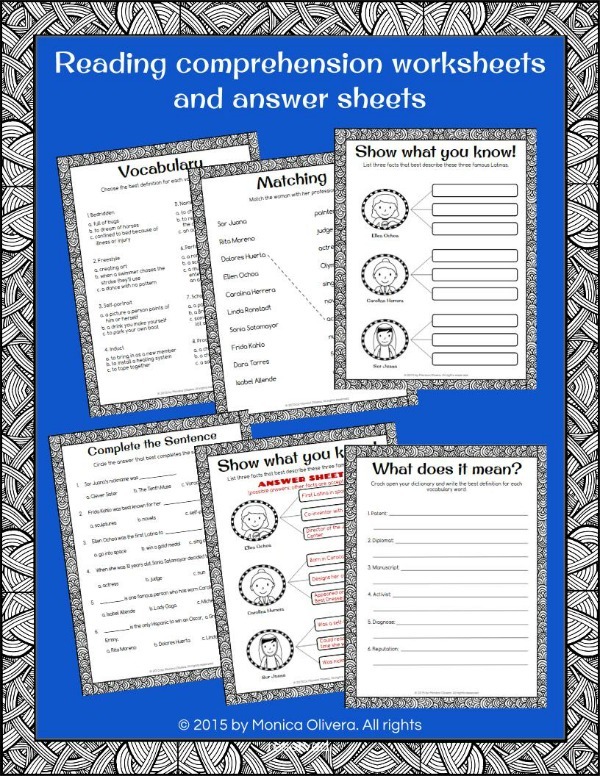 Their stories are motivational and this packet, while a wonderful resource for all children, is especially empowering for young girls. And yes, it is available in English AND Spanish! Download it here on my site or head on over to my TpT store and get your copy today! Don't forget to leave some feedback so I know what you think.